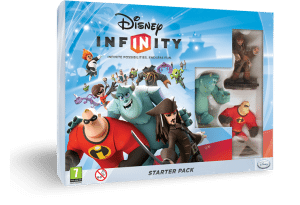 We were among the early-adopters, going out last Sunday morning to pick up our copy of Disney’s newest gaming venture – Disney INFINITY – on release day. I was a bit worried because we didn’t go very early, and I’d seen reports of some stores being sold out in other areas. We went to Target (my wife’s other obsession, besides our shared Walt Disney World obsession). We rushed to the electronics department in the back of the store, and there it was: A half-aisle with starter packs, extra character figures, power discs and multi-character packs. All were fully stocked and waiting. Currently, Disney INFINITY is available for Xbox 360, Playstation 3, Nintendo Wii, Nintendo Wii U and Nintendo 3DS. Free, online, iPad and PC versions that will allow you to load elements from your console copy of the game have been announced for late August and October, 2013 releases respectively. We bought the Xbox starter pack, which includes: the game disc, a Disney INFINITY powerbase (where you put your figures, power discs, and gadgets), Sully, Captain Jack Sparrow and Mr. Incredible characters, the gadgets for Incredibles, Pirates, and Monsters U, and one power disc. We also bought a few more power discs (they come in packs of two), and finally we purchased the Lone Ranger play set which included the Lone Ranger, Tonto and the Lone Ranger gadgets. Power discs are game pieces that allow your character to have the special item or power on that disc or to change the look of your toy box. Round ones can be used with your character throughoutm, and the hexagon ones can be used in the toy box. Then there are special and rare ones. Currently, it looks like there are 3 Series of power discs coming out. Series one is out and has 20 discs. They are for sale in blind packs of 2 in per package, so you cannot see what you are getting. Like blind pin packs and Vinylmations, you WILL end up with doubles. Disney knows this, and they encourage you to trade them. There are currently 17 characters in Series 1, and it looks like there is a Series 2 ready to go soon. The designs are actually pretty good, and the figures have some weight to them. However, I can see them breaking easily (some more so than others). It looks as if they are just glued to the base. Without breaking one, I’m not sure yet. Why do I say yet? Did I mention I have to boys? These figures and the power discs will likely end up pulling double duty. In addition to being game pieces, they will be collected, displayed and traded – probably even by people that have no intention of ever playing the game. 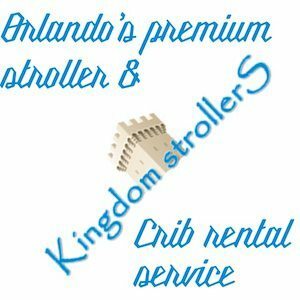 Trading locations, dates, and times are already cropping up at Walt Disney World, Disneyland and even at video game stores. 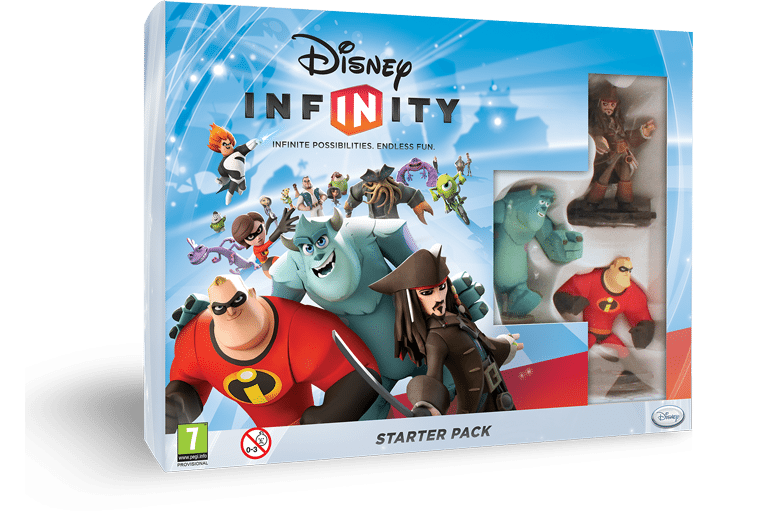 A collectible Disney INFINITY market has already cropped up on eBay. An early, limited release figure of Sorcerer Mickey was available at D23 and is already commanding auction prices of over $120. Rare power discs sold with a Sorcerer Mickey boost the asking price to close to $250. 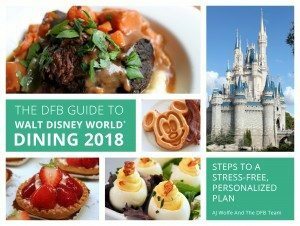 Those prices may come down when the Sorcerer Mickey figure becomes available to the general public, though it is unclear whether the figure released to the public will have all of the same in-game features as the special edition version.